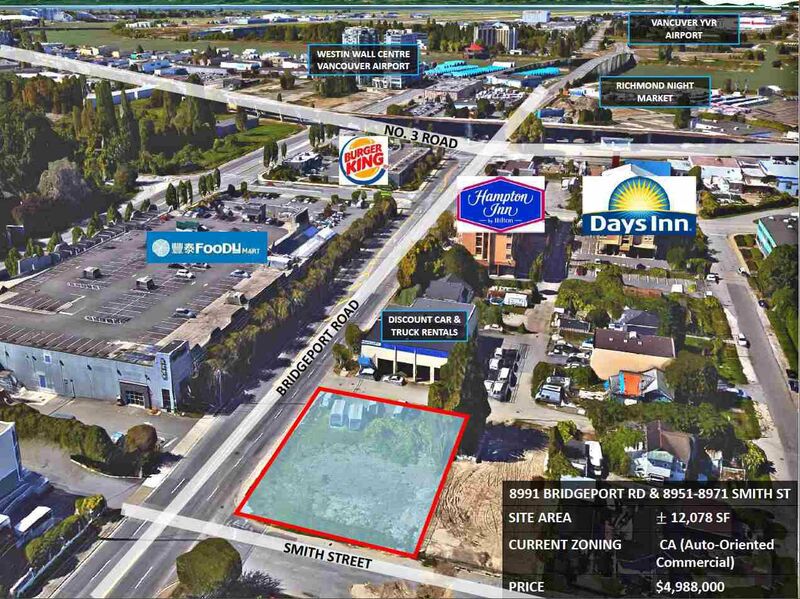 RE/MAX Real Estate Services is please to offer for sale three consecutive properties along the north-west corner of Bridgeport Road & Smith Street in the Bridgeport neighborhood of Richmond, BC. 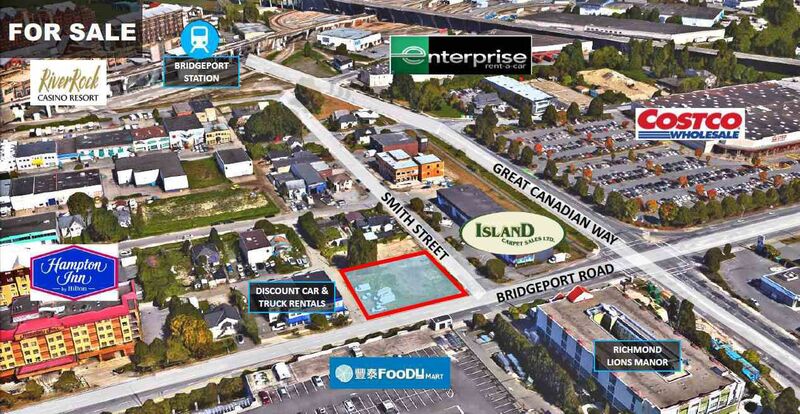 This site boasts over 12,000 sq. ft. and 250 metres away from No. 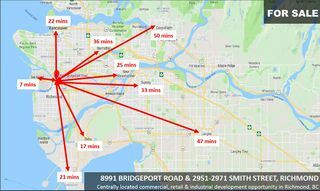 3 Road – the busiest road in Richmond where all amenities are located. The lack off retail & industrial spaces & ample demand, particularly in a centralized location, makes this a solid development opportunity for business-owners and developers & investors. 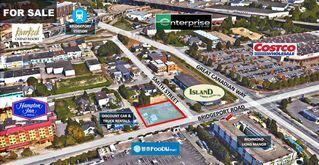 Located in one of the most under-developed areas closest to No. 3 Road. Nearby properties are rarely available for lease. 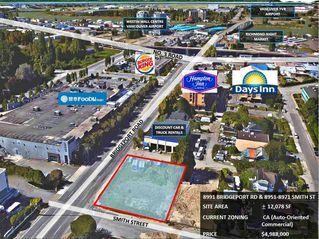 Many amenities are already established in the neighborhood, include large corporations such as Costco, Starbucks, Burger King, and more. Please call for information package and more details.